​We appreciate your business and know you have choices! Please note that as you browse through HomeAway, Airbnb, and other travel sites, there will be vacation rentals that advertise at nightly rates far less than The Quintessa on Whidbey Island. 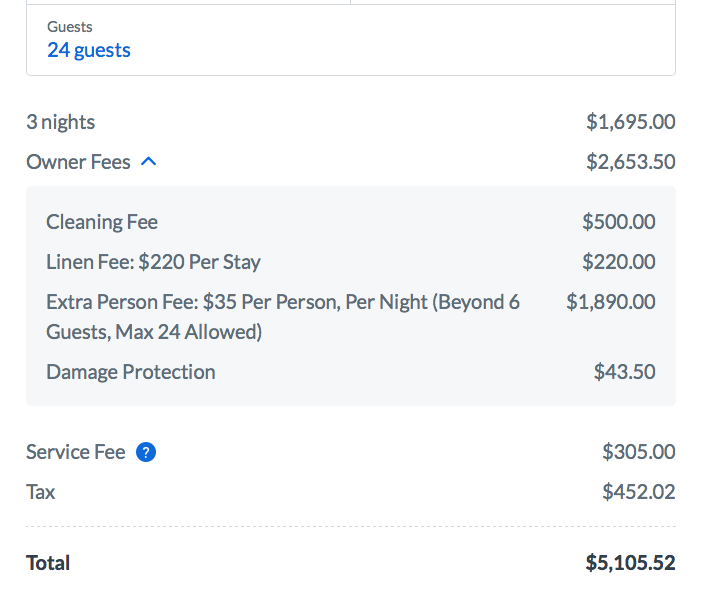 The example below is from a HomeAway listing that advertises their vacation rental at “$565 per night”. Often times, rentals will charge for cleaning, linens, and extra persons. 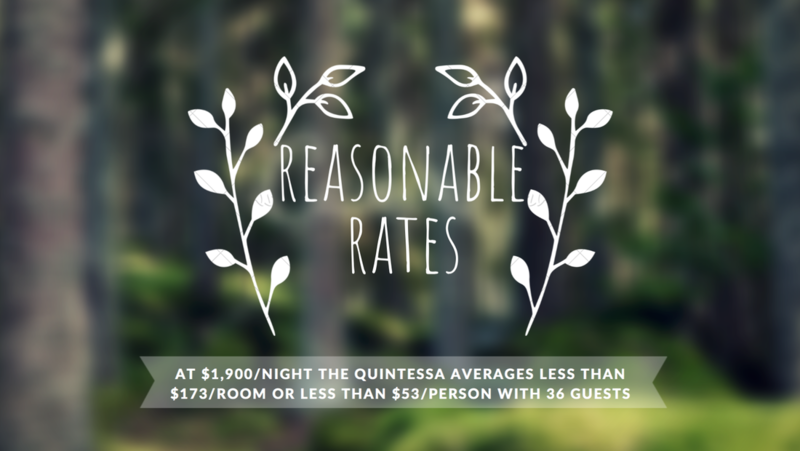 At The Quintessa, all of these costs are included for your ease and clarity (with the exception of special events or custom check-in or check-out times).